As he walks up Main Street to the Capitol building in downtown Salt Lake City, hundreds gathered around him. Holding a banners with “Womens March 2019” written in bold letters. 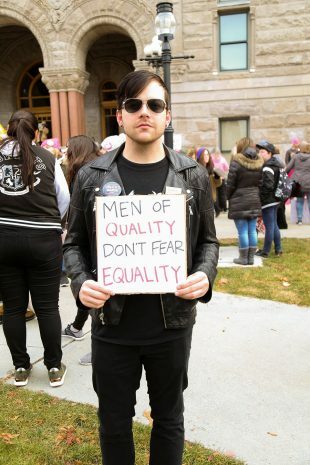 He’s marching alongside the University of Utah’s student-lead political action group, People for Unity. The Women’s March has arrived and is stronger than ever. 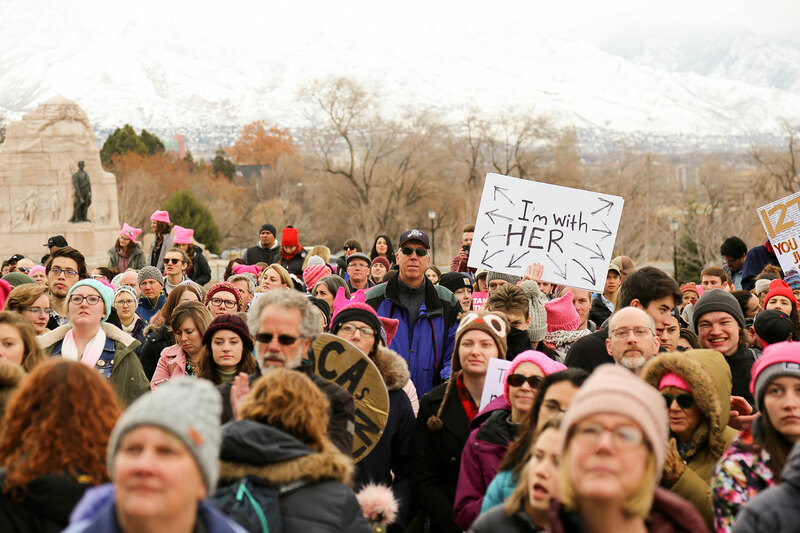 Main Street echoes with loud, powerful chants of, “My body, my choice,” “Women empower women,” “Power to the people” and “Dump Trump.” There are people of all ages, races and genders wearing pink hats and carrying posters, banners and flags in support of women’s rights. The ambience of the crowd is strong, and everyone’s energy bounces off the city walls. Hundreds have taken to the steps of the capitol, side lawns and the front of the building to be seen and heard. People for Unity has gathered four speakers to represent them and speak to the crowd. One speaker is Salt Lake City’s own mayor, Jackie Biskupski. Biskupski made headlines in 2011 by becoming Utah’s first openly gay elected official and continues to do so with her policies on homelessness, economic development and community building. Biskupski spoke on her journey of being an LGBTQ+ woman in politics and how her policies come from a place of community, understanding and resilience, along with how others should not be afraid of their light and purpose. The three other speakers were Mishka Banuri, an 18-year-old Pakistani-American woman, who was an organizer for the Utah People’s Climate Change March and is an advocate for the South Asian population in Utah. Jennifer Boyce, another speaker, is a Native American woman from the Oglala Lakota tribe, who spoke on the Missing and Murdered Indigenous Women epidemic. Her work is in helping other Indigenous families who have experienced the murder or disappearance of family members. She spoke on the importance of education, empathy and standing together as one. The fourth, and final speaker, Yolanda Francisco-Nez, granddaughter of a Navajo Code Talker, is an advocate for Indigenous women and children and has worked for numerous boards on sexual assault, Indigenous rights on land and discrimination in race and gender. Francisco-Nez was named in the Top 30 Women to Watch in Utah by Utah Business Magazine 2018. “Regardless of our age, race, gender, any of that, we are here today for the same reason. To support one another and show the world that we are here for you, we are here for our future generations and we are here for those who don’t support us,” Francisco-Nez explains. 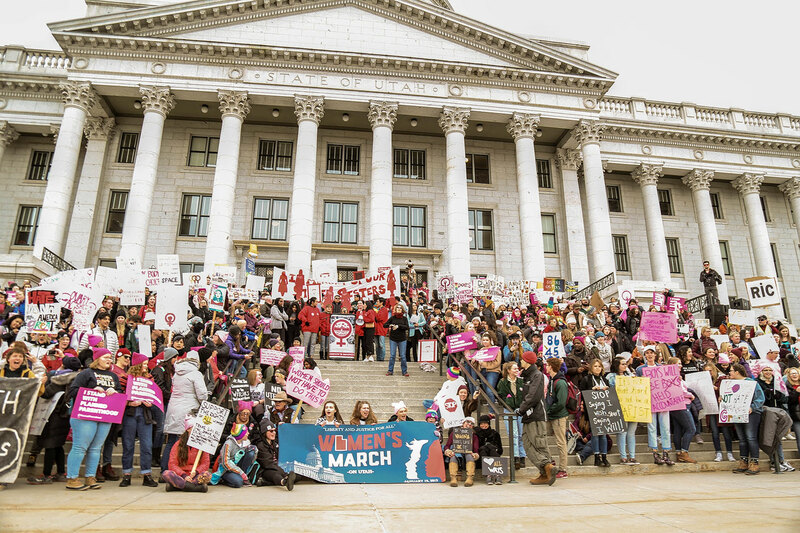 The speeches at the capitol ended with People for Unity expressing that the 2019 Women’s March was put on by students from the University of Utah and to further support them, they can join the group, create groups at their school, and/or donate. The group also states that the most important thing to do is show up: show up to supportive demonstrations; show up to class; and show up to the things that really matter to you. 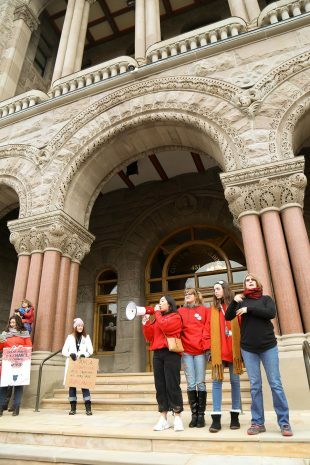 After the march, Biskupski spoke on Salt Lake Community College and University of Utah students participating in the demonstration with the People for Unity group. “I’ve done a lot of work with SLCC and it says it in the name, community. The students there and at the university have given me hope for future generations and without their support and work, our current government would not be where it’s at today,” says Biskupski. 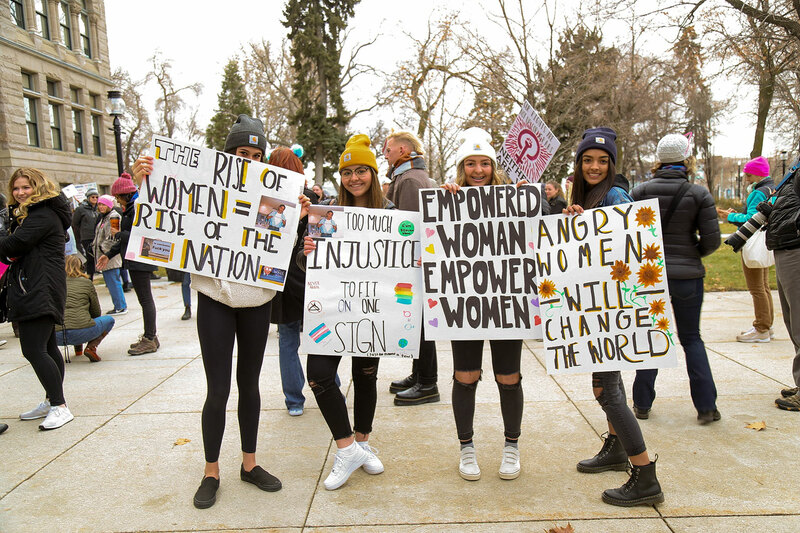 Womens March 2019 was a movement meant to make waves for people all around the world, to empower our future generations and those around us, and to show the world we are stronger as one. If a group of students can make a stand and inspire fathers to bring their young daughters out and thousands of locals to support a cause on one day, then there is nothing but hope for the future. This is not fighting for equal treatment. This is fighting for “special” treatment. Men and women already have equal opportunity in all things. But equal opportunity does NOT mean equal outcome. That is why men work in dangerous jobs (such as oil rigs or firemen) more often and women work in boring jobs (baby sitting, sewing, repetitive production work) more often.